For the vast majority of California cities, a sign permit is required for most permanent and temporary signs, whether the signs are illuminated or not. Either the city’s Sign Ordinance or the specific commercial or retail building’s Sign Program will provide the governing regulations for the signs. 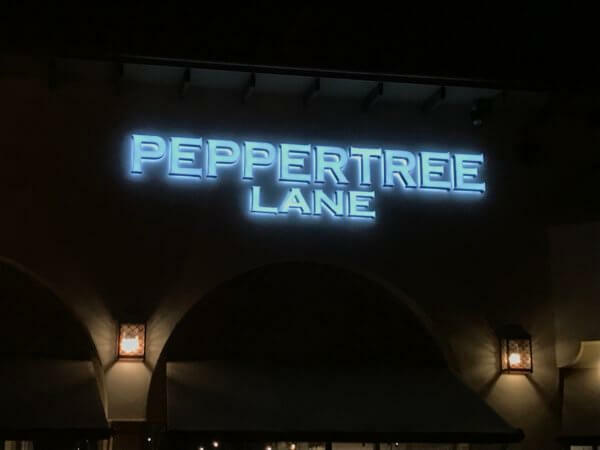 Sometimes called a Master Sign Program, a Sign Program is a document that contains a comprehensive set of sign criteria that is unique to a specific shopping center, building or development. These criteria are written to provide a consistent visual theme for multi-tenant buildings or multiple business establishments located in a single development project. As a starting point, a building owner or property manager will hire a signage company or an architect to prepare the Sign Program for a building, often when the building is first constructed. The Sign Program will be submitted to the city, and following appropriate reviews, will be approved and retained on file with the city’s Planning Department. Then, when any individual tenants seek to install signs or obtain permits, their proposals will be checked against the approved Sign Program. In cases where there is not an existing Sign Program, then the city’s more generic Sign Ordinance will govern what is allowed. When you wish to install a sign as a business owner, the process begins with checking what is allowed for your building or retail center. Navigating Sign Programs and Sign Ordinances can be a daunting process, so having a full-service sign company will prove to be most helpful. At Starfish Signs and Graphics, prior to beginning any design work, we always check the requirements for your specific building. This way we can advise right from the start of the process what design is likely to be approved by the building owner, property manager and city. Further, we understand that for national brands and franchises, there are additional brand standards that also will apply. Review and Discovery – We begin by reviewing the Sign Program and the scope of the project, making sure to identify all property and city requirements. We leave no stone unturned to make sure there aren’t any delays during the process. We next develop the sign design and submit the proofs to our clients for approval. We take on the challenge of ensuring that all brand standards are honored, while still meeting city requirements and obtaining all permits. After all, it is not sufficient that the sign be properly permitted; it must also have the look and feel that you want for your business. The next step is getting a sign-off from either the property manager or the building owner. This is important because we need this approval, either in writing or by email, to obtain building permits from the city. Once we have received the approval of the client and the sign-off from the building owner or property manager, we submit the application to the city. In some cities, we are able to obtain approval from the city within the same day. Other cities may have a review process that can take 1-2 weeks. If changes are requested by the city, we take the necessary steps to make those changes in consultation with our client. One important note – for nearly all cities, the business owner must have a valid Business License and Certificate of Occupancy before the city will issue any sign permits. For larger or more complex signs, the city may require certification of the design by a licensed professional engineer. If your project has a need for engineering, we will advise exactly what is needed, and arrange to complete this step. Although technically not part of the permitting process, we know that all signs must be installed exactly as outlined per the permit application. Our installation technicians are trained to pay attention to all details, and particularly those important details that will be checked during the final inspection. Once the sign has been fully installed, hooked up to the electrical circuit (if illuminated), and the project is complete, we schedule a final inspection with the city inspector. The inspector checks to ensure that the sign has been built and installed exactly as described in the permit application and accompanying drawings. And because we’ve done our homework to this point, the final inspection very rarely encounters any issues. However, if there are any changes that need to be made, we handle them. Once the inspector signs off on the job, the permit work is now fully complete. The permitting process can be a lot to handle. That’s why we take pride our extensive experience, our attention to detail, and our focus on full compliance. We will handle the entire process for our clients, so they can devote their attention to their own businesses. Want to learn more about getting new signage? Contact us today to get started on your building or monument sign project. 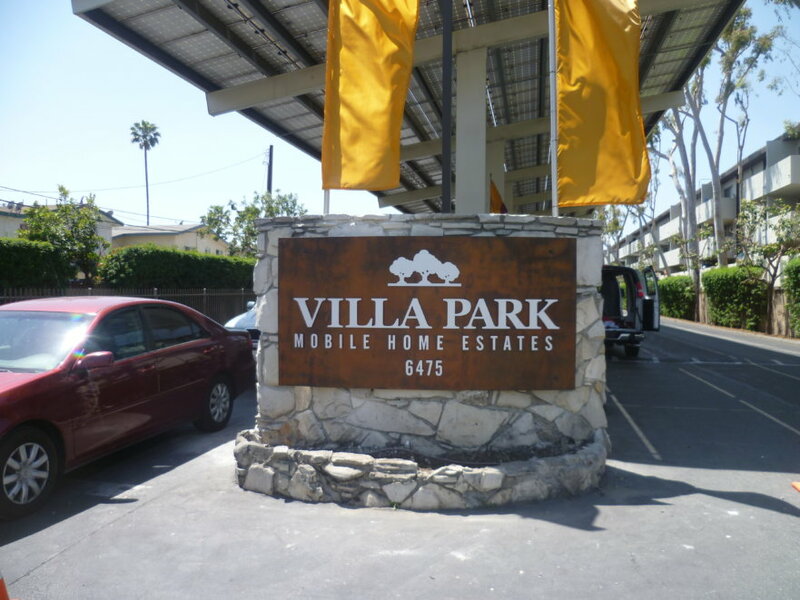 Starfish Signs and Graphics is a signage and graphics company that offers fully customized signage solutions to businesses in Southern California. Contact us to discuss options for your next project. 940 Calle Amanecer, Suite A. We will never share your contact information with anyone.